Ready Player One whiffs in terms of asking viewers to explore the copyrighted icons of their youth (and some of today’s too). They sprawl on screen, battling one another, firing lasers or punching each other. It’s fanciful but empty, no different than purchasing an action figure and slamming their plastic together. 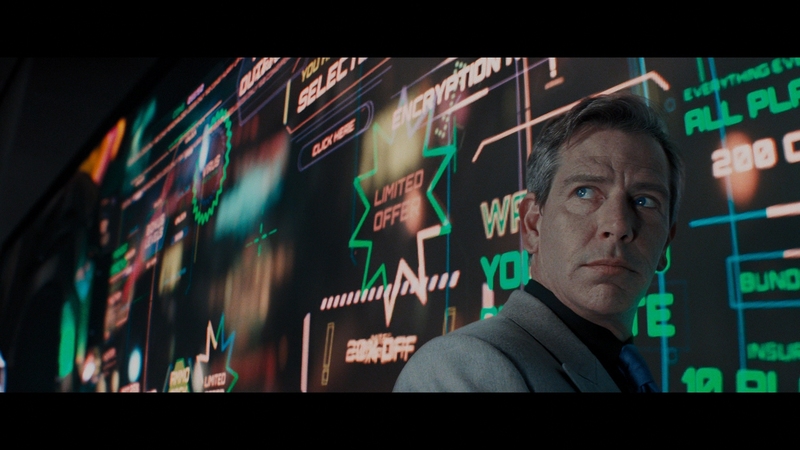 Thinking broadly about Ready Player One’s world wrecks the illusion, which strangely, is where the film’s message lies. Everything outside of this virtual world is awful. 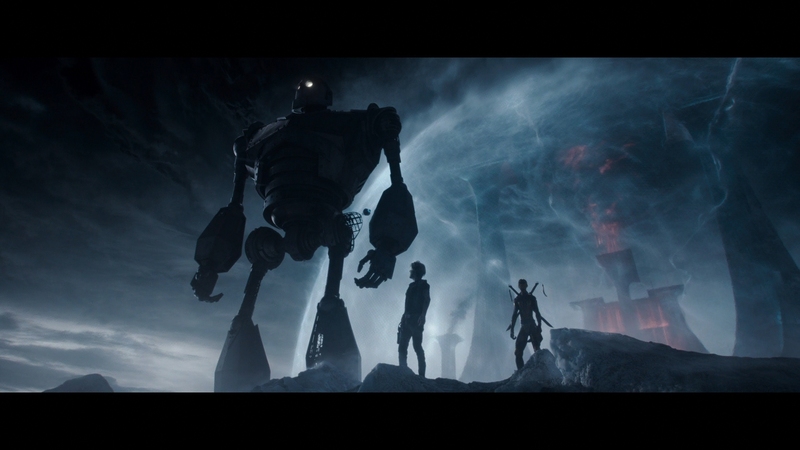 That’s not terribly inspiring, but Ready Player One looks great while doing it. 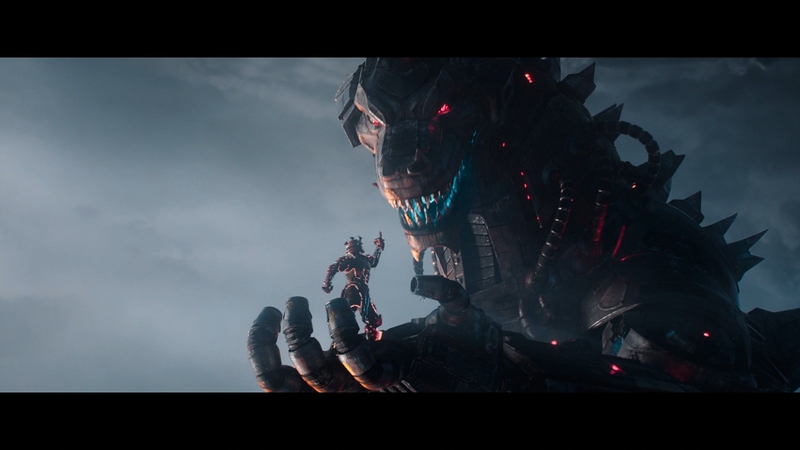 Read our full Ready Player One theatrical review for more. From a 2K DI, this disc thrives under the services of Dolby Vision. The virtual world is all contrast-heavy splendor. Beaming lights and thick, hearty shadows provide outstanding density. Stellar glow flows from the image, adding pop to every small source of light no matter how minor. 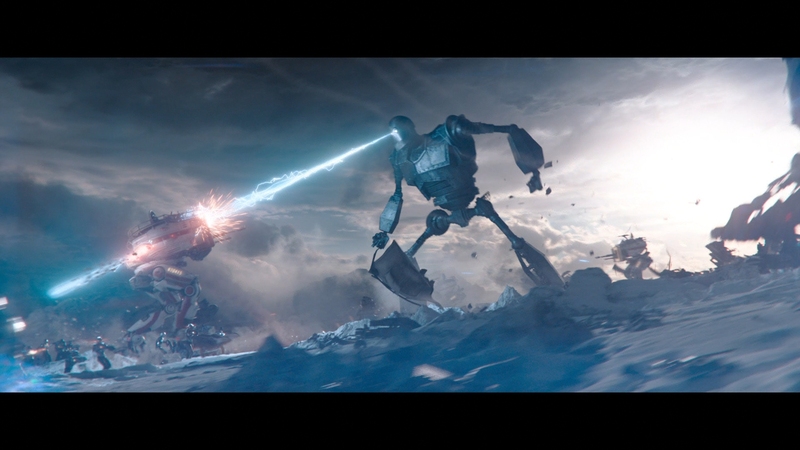 Ready Player One is an essential HDR disc. There’s little slouch in terms of fine detail. Close-ups of digital characters render exquisite fidelity, with small lines and other touches laid out flawlessly. Digital clarity presents little challenge. In the real world, a hearty grain structure appears, Janusz Kaminski’s hallmark as cinematographer. Warner’s disc generally handles things well. Once into the set for The Shining, compression becomes questionable. Chroma artifacts sprout in an anomaly for an otherwise precise home video presentation. A small bit of aliasing creeps into the third act. The VR suits have fine lines that shimmer, an issue present in the theatrical presentation too; this is no fault of the disc. Oasis provides the total escape from any such problems. The swell of primary colors and well considered palettes keeps up a hyper saturation, even in those environments using monochromatic settings. Say, a dance club. Artemis stands out against the heavy blue backdrop despite he himself layered in blues. In the real world, a grimmer color grading appears, bleached and gray, but attractive in matching mood. Some blooming is inherent to Kaminski’s cinematography, gracefully accentuated by the HDR. There’s an inconsistent lack of depth to the Blu-ray edition. Watch the scene where Artemis first meets Sorrento face-to-face. The room clouds with a distracting blue rather than natural shadows. Black levels perform well elsewhere, with deep, rich black evident. Those few moments thus stand out as oddities. Grain management also suffers on the Blu-ray, at times to an extreme. The Shining visit is an outright eyesore of compression. The rest is handled with some care, if still unnaturally thick by way of digital artifacting. Luckily, the detail isn’t lost. Fidelity and sharpness both remain high. Close-ups spread detail across the frame and major battle scenes lose none of their oomph. 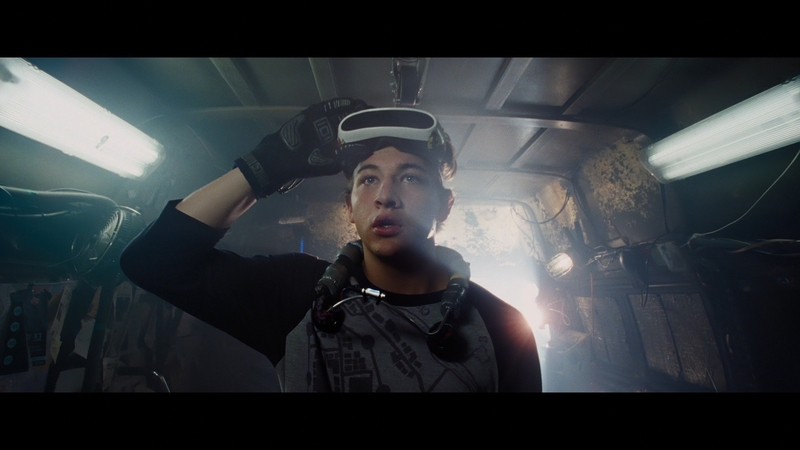 Get past the compression and Ready Player One is primed for 3D glory. 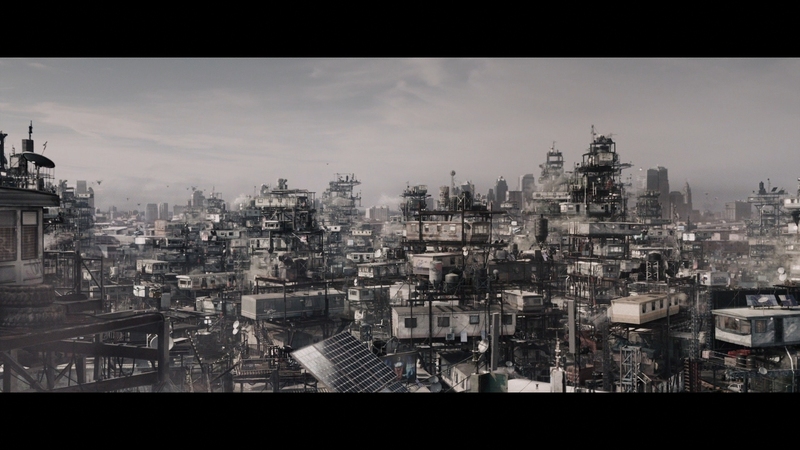 This is such a busy world and movie, the constant sense of depth is appreciable. Fall-in effects rank highly against any modern 3D presentation. Numerous scenes feature foreground elements, whether falling debris or ambient touches. 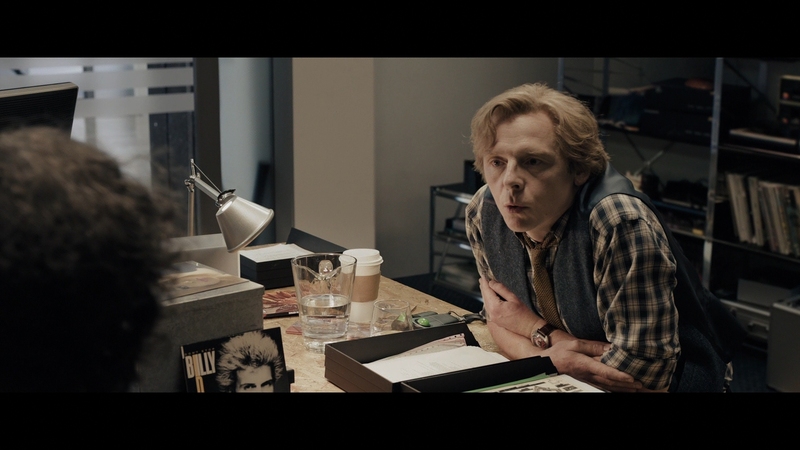 Dimension on TJ Miller’s character, with his chest cavity hollowed out, is remarkable. To this disc’s greatest credit is the ability to maintain depth even in the cluster of action. 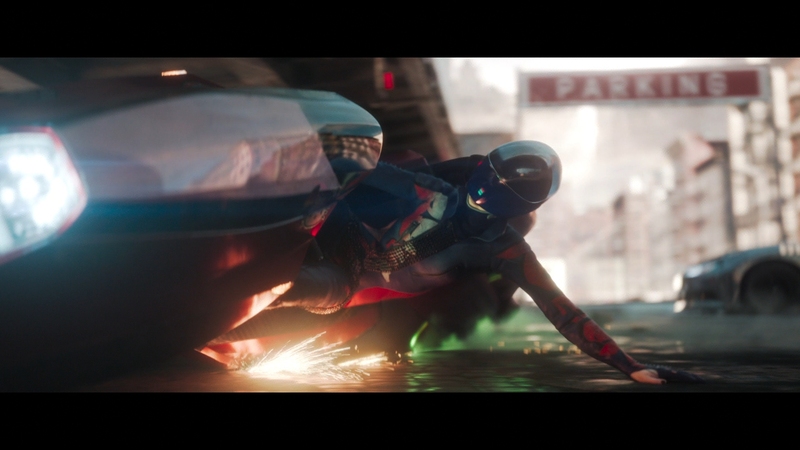 The early car chase through the virtual city sweeps, cuts, and moves with ridiculous speed, never losing focus of the 3D effects. During the final battle, the camera pans around a massive battlefield, and new appreciation sets in for how well considered the wild cinematography is. Something consistently fills the foreground for pop-out touches, and the scale of it all falls well into the horizon line. Gorgeous work. 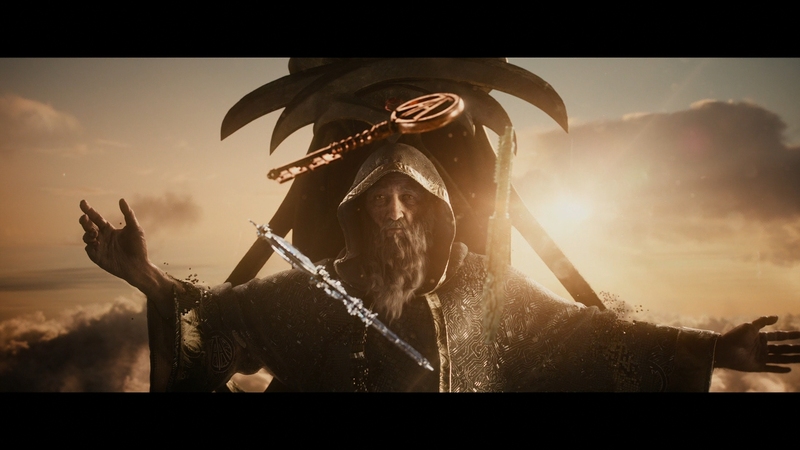 While the default DTS-HD track is fine, the Atmos mix is where Ready Player One comes to life. 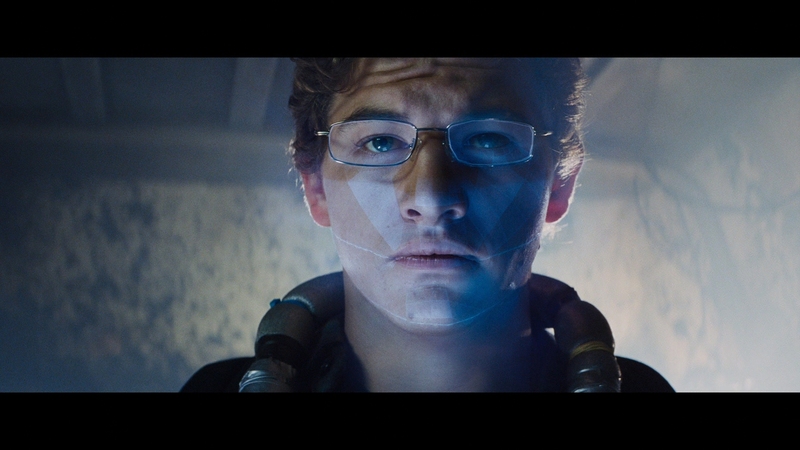 With a vivid race sequence kicking off this outing, it’s clear Ready Player One will be a performer. Near field tracking sends vehicles in a multitude of directions. Roaring engines rough up the subwoofer, a constant in this mix, able to boast about heavy low-end support. A zero gravity shoot-out pushes bullets into each speaker, with a variety of movement also evident strictly through sound mixing. Ready Player One is adamant about keeping things lively even outside of its action. The stacks sound crowded, with trailers rising up, and their owners lively as Artemis passes by. There’s an audible pulse to this movie that ensures grand performance at all levels. While the race is a fine demo sequence (especially hearty as King Kong steps in), the final battle offers a bevy of sonic spectacle. Between the gunfire and explosions, expertly balanced dialog survives the dynamic range. As the shield drops, the thundering rumble is a room shattering event. 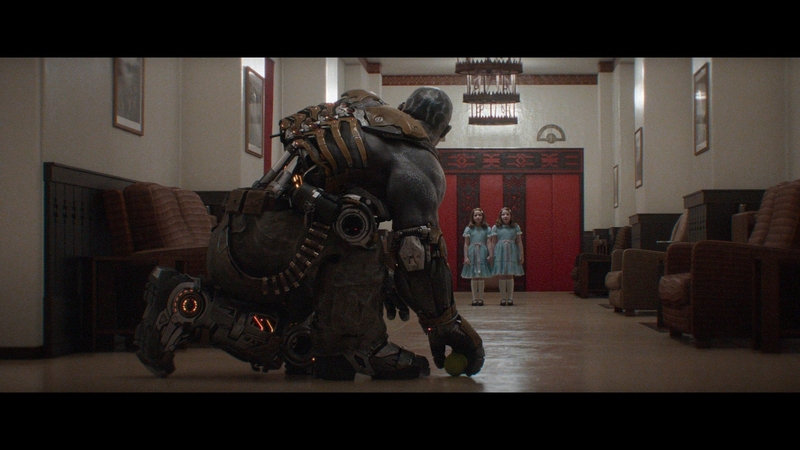 Subtle is not something Ready Player One does. Six features make up the bonus menu, all together running two hours. It’s great when taken as a whole. 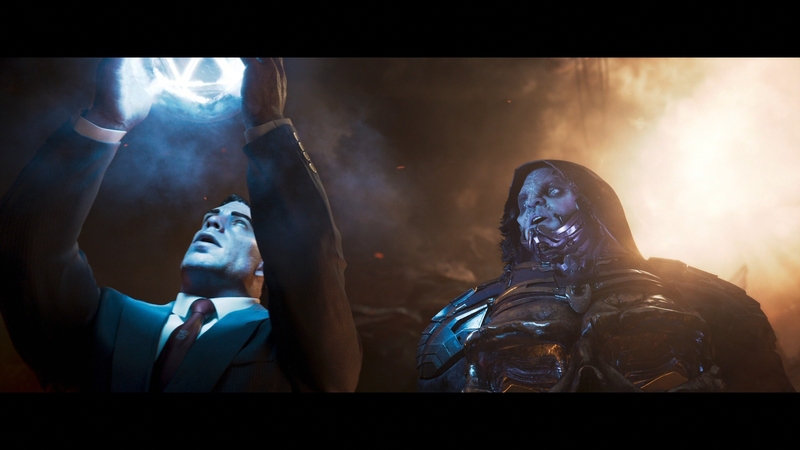 Production values give the talking head scenes energy. Insight into the production, the effects, the soundtrack, nostalgia, and more feature as part of this overall documentary. 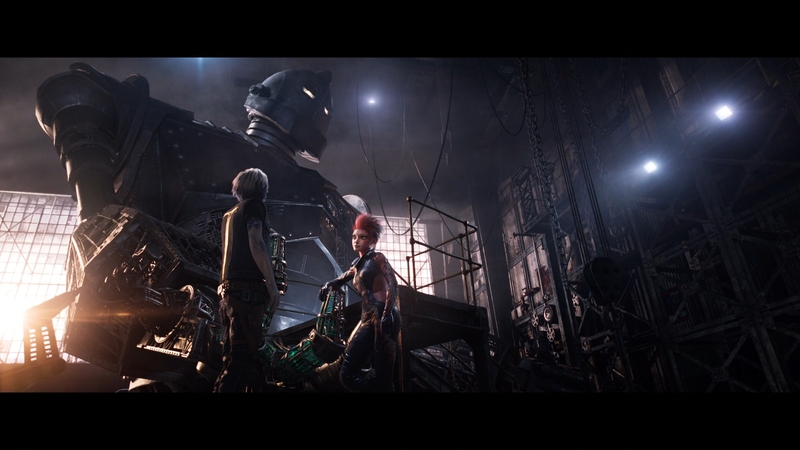 It’s Steven Spielberg versus nostalgia in Ready Player One, a successful movie adaptation of imperfect source material. The 15 unaltered images below represent the Blu-ray. 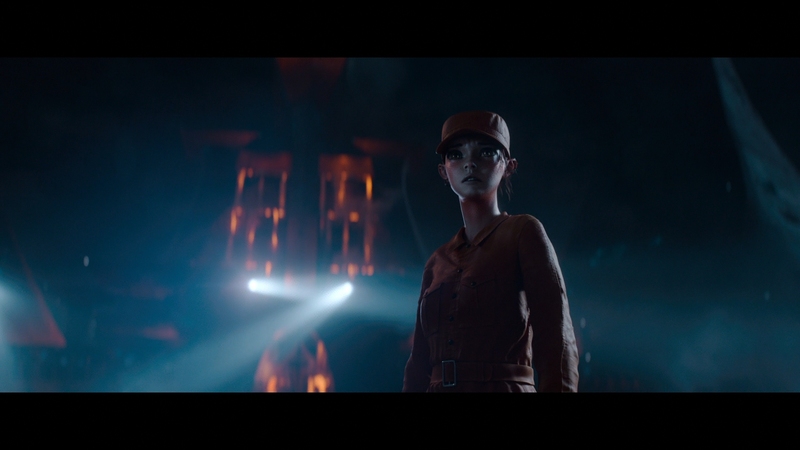 For an additional 35 Ready player One screenshots, early access to all screens (plus the 13,000+ already in our library), 50+ exclusive 4K UHD reviews, and more, support us on Patreon.